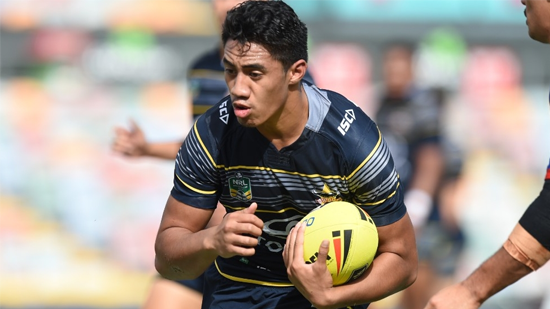 The Junior Kiwis have named their side for Saturday’s Junior Test, while the Junior Kangaroos have added two players to their team. Isaiah Papali’i has been named as captain of the Junior Kiwis and will join three other returning players from the 2017 side (Chanel Harris-Tavita, Steven Marsters and Emry Pere). NRL regulars Nick Cotric and Victor Radley are out of the Junior Kangaroos side, with Cowboys winger Murray Taulagi and Raiders lock Corey Horsburgh taking their places. The sides will play on Saturday October 13 at Mt Smart Stadium, with kick off at 3pm (local time).